This truly is the "Flower of my Youth". It was everywhere I went--grandma's yard, walking to school and how I love the scent of the bushes in bloom! 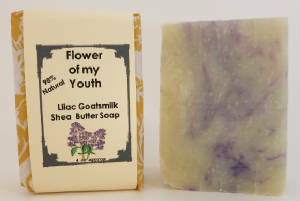 A JackieSoap.com Bestseller for over 15 years! you find in most candles, soaps and other products! You will swear it is May and the Lilacs are blooming!